Your credit score is only one piece of the financial puzzle when dealing with credit, but it is an important one. Your credit score is a number between 300 and 900 that quickly tells a potential lender or company how well you manage credit. The algorithm used to determine this number is complex, but we do know the different weight distribution placed on each factor that affects this FICO credit score. The quickest way to improve your credit score is to make your payments on time. Alternatively, the quickest way to ruin your credit score is to have one or more missed payments. This is because 35% of the weight placed on figuring out your credit score is your ability to make your ‘minimum payments’ on time. Minimum payments is the lowest amount you are required to put towards your debt each month in order to keep it in good financial standing. Missing your payments, or paying less than the minimum payment required will negatively impact your credit score quickly. This is why it is so important to talk to your lenders to come up with other payment arrangements if you are unable to make your minimum payments in full and on time. Your credit utilization looks at how much of credit you have available to you versus how much is used and converted into debt. The closer you are to reaching the credit limit on your credit products, the higher your credit utilization and the more your credit score will be negatively impacted. Alternatively, the further you are from reaching your credit limit, the lower your credit utilization and the better your credit score will be. Avoid maxing out any particular credit product and try and keep your credit utilization 40% or less. Credit history looks at a borrowers overall history in managing credit (usually over a 7 year revolving period). The longer you have had credit, the easier it is to establish your credit history as there is years of credit information to assess your risk as a borrower. Alternatively, someone that is new to credit would not have years of credit history so it would be difficult for them to have a near perfect credit score, even if they are diligent in repaying their debts in full and on time. Every time a borrower requests new credit or to increase the limit on their existing credit, lenders will typically review their credit score (among other things) to determine if they are approved. Each time a lender pulls your credit score and report, they initiate a hard inquiry which gets reported to the credit bureau and appears on your credit report. Multiple hard inquires in a short period of time can signal to lenders that the borrower is shopping around for credit and possibly getting denied. Too many inquires can negatively impact your credit score. It is advisable to wait 6 months before shopping around for credit and be strategic in how many lenders you visit and how many times your credit gets pulled as this impacts your credit score. Types of credit looks at the diversity of credit you have available to you. The more diverse the credit, the better. However, the weighting on this is low compared to other factors so it is important not to place too much weight and emphasis on this when trying to improve your credit score. Examples of types of credit include: revolving credit (credit card, line of credit), instalment credit (student loans, car loans), M (mortgage), open credit (i.e. cell phone bill, utility payments). Now that you know what a credit score is made up of and the different weight distributions. Most landlords and property management companies will request some personal information about you including your income, past references and request to pull your credit report. In a hot rental market with many favorable applicants applying for the same unit, a good or bad credit score may be the deciding factor of who gets to rent the unit. Even though your landlord is not extending you credit, a good credit score signals to them that you are responsible with your money. A bad credit score may narrow your rental search in a competitive rental market and affect where you eventually live. Two bills that typically show up on your credit report are your utility bill and cell phone bill. Utilities are a form of open credit. They are a form of credit because you are first provided the service (i.e. heat, water electricity etc.) and then charged for the amount consumed. It is open because the amount charged each month varies with consumption. A bad credit score will usually require a deposit before setting up utilities at your residence. This additional outlay is a cost to you that could have been used to cover another expense or service a debt. With a good credit score, this deposit is not needed so you get to keep more of your money. Probably the biggest and most notable impact of a bad credit score is unfavorable higher interest rates on credit products like credit cards, loans and lines of credit. 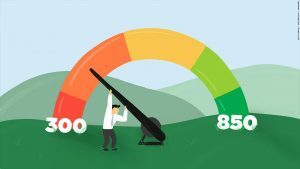 A bad credit score signals to lenders that the borrower may be a high risk borrower so lenders will have to hedge their risk by increasing the interest rate of the money they lend you. This in turn means you are paying more in interest expenses each month compared to someone with a good credit score for the same or similar loan. This additional expense could be put towards other financial goals like debt reduction, or saving for the future. Higher interest rates is probably the biggest reason and motivator to work towards improving your credit score, so you can still benefit from getting credit, but at a more favorable rate. Similar to a utility bill, your cell phone bill (if on a contract) will be reported on your credit report. Your cell phone plan is a form of open credit similar to your utility bill. A bad credit score may require you to include a sizable deposit before setting up a cell phone contract which can be extremely costly or inconvenient. Some carriers may also require you to provide pre-authorized debit payments in addition to the deposit before setting up service. Some employers may want to ensure you are bondable and pass security clearance like a background check before getting hired. For example, most financial institutions and the government will complete a thorough background check, including a credit report before offering employment. If your position will require the handling of cash, working in a vulnerable sector, handling client’s sensitive and private information such as customer credit cards and banking details or other personal information, it is more likely your credit report will be pulled. A good credit report and score can signal to employers the applicant is trustworthy, reliable and responsible. A bad credit score may signal the opposite. In banking roles like a financial advisor or financial planner, a person is no longer allowed to work in this profession if they have filed for bankruptcy. Therefore, depending on your career path, a bad credit score may even limit job prospects. Insurance companies may use your credit score in assessing your premiums. Although they have their own proprietary way of analyzing your score that will affect your premiums. A bad credit score can mean higher premiums, even if you have a clean driving record. A poor credit score could add $1,301 to your premium, on average. A bad credit score may impact your personal relationships if there is no plan in place to improve your financial situation. Getting into a committed relationship with someone else may also mean, joining assets or working to build assets together. 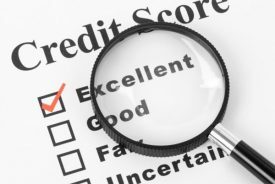 Someone with bad credit may negatively impact the approval of a credit application, leaving much of the financial burden on the person with good credit. If not resolved, this can cause strain and stress on the relationship as one person feels they are taking on more risk than the other. A bad credit score can also signal to your partner that you are not responsible with your money. In both instances, it is important to have a plan to improve your credit score by making your payments on time, reducing your debt and living within your means. If both partners have poor credit, then they would both benefit from improving their credit scores. A good credit score provides more options and flexibility for financing, which will become important as couples work to build their assets and lives together.